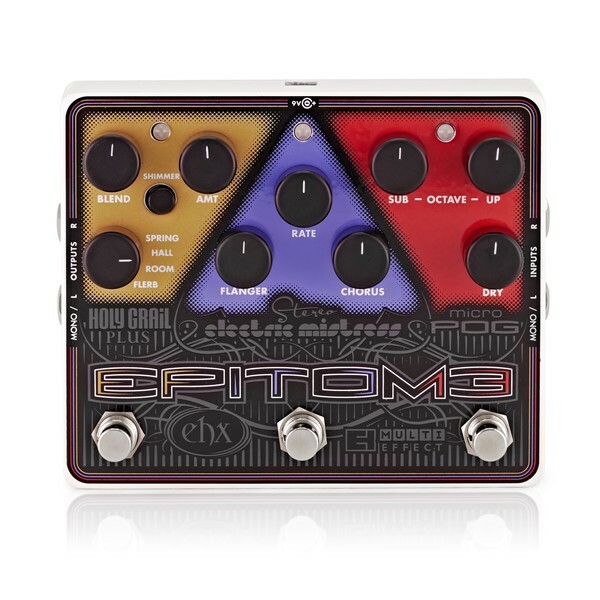 3 Great Pedals in 1! This powerful digital multi-effect begins with the flawless polyphonic tracking of the Micro POG. Next is the Stereo Electric Mistress. Creamy stereo flanging and chorus weave and undulate for the richest modulations. Finally, the Holy Grail Plus wraps you in a silken shroud of luxurious reverb. Switch on Shimmer to re-route the effects. Now the Grail reverberates the POG?s wet signal and the Mistress completes the chain to add lush flanging to the reverb tails. 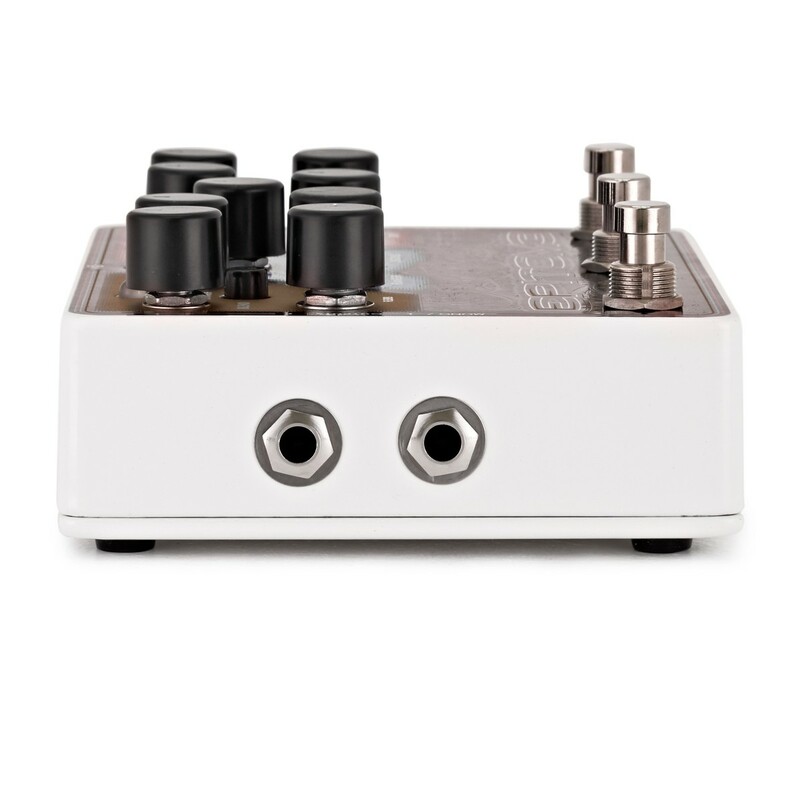 Shimmer also transforms the Grail into a digital delay with the POG in its feedback path for inspiring ascending and descending octave effects. The Legendary and classic original POG won top awards from many major magazines for its flawless polyphonic tracking and musical flexibility. 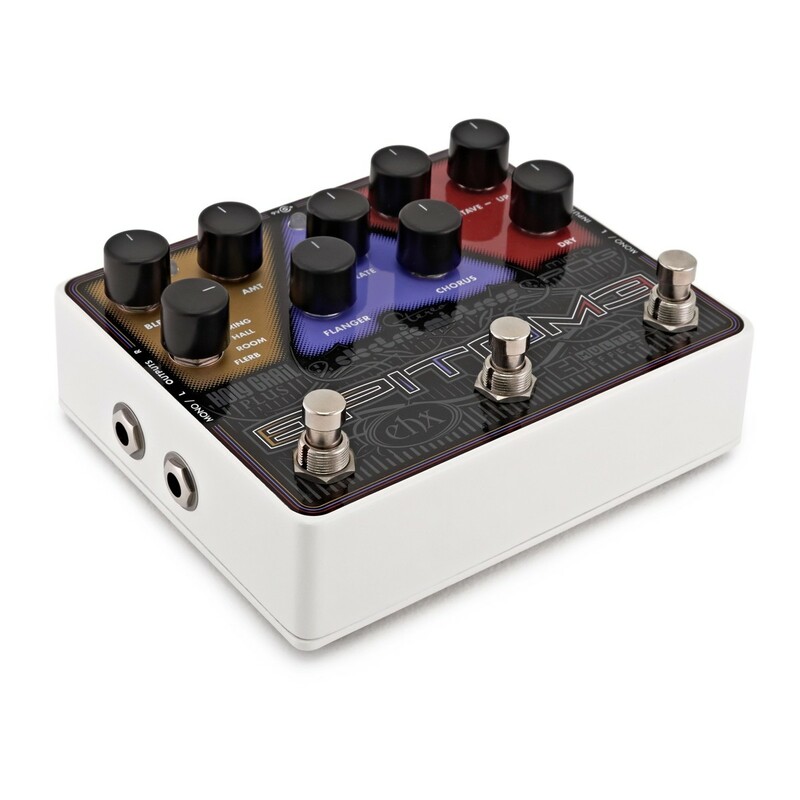 The Micro POG delivers the same perfect tracking and smooth polyphony in a simplified design. 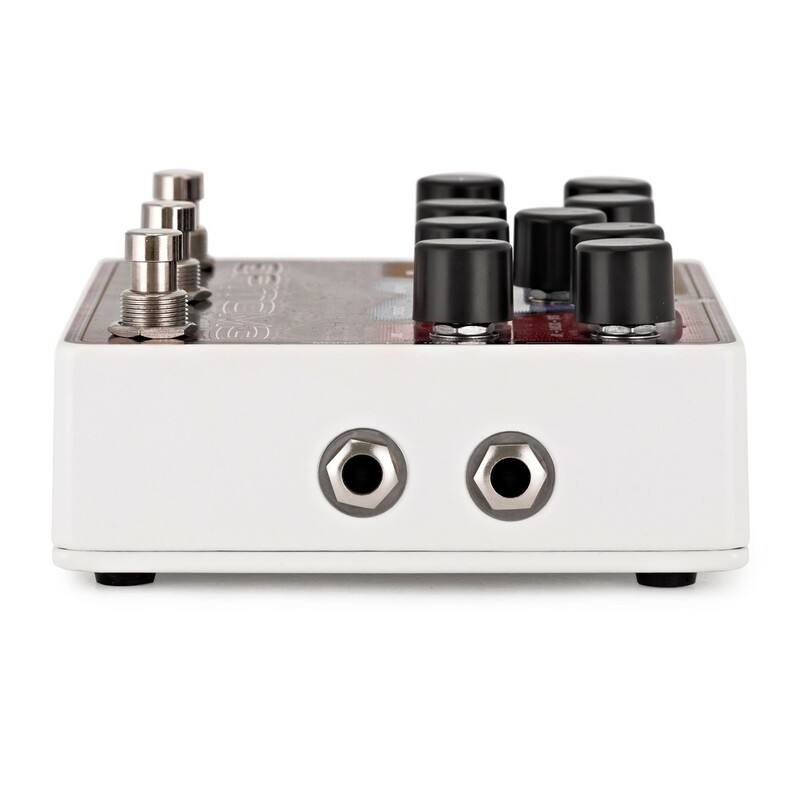 This is the only pedal where lush Stereo Flange and Stereo Chorus work together seamlessly for the richest modulations that undulate and flow over any stage or recording. Colourful and seductive in stereo. The Holy Grail Plus starts with the Holy Grail's amazing spring, hall, and flerb reverbs, and adds a graceful room reverb. 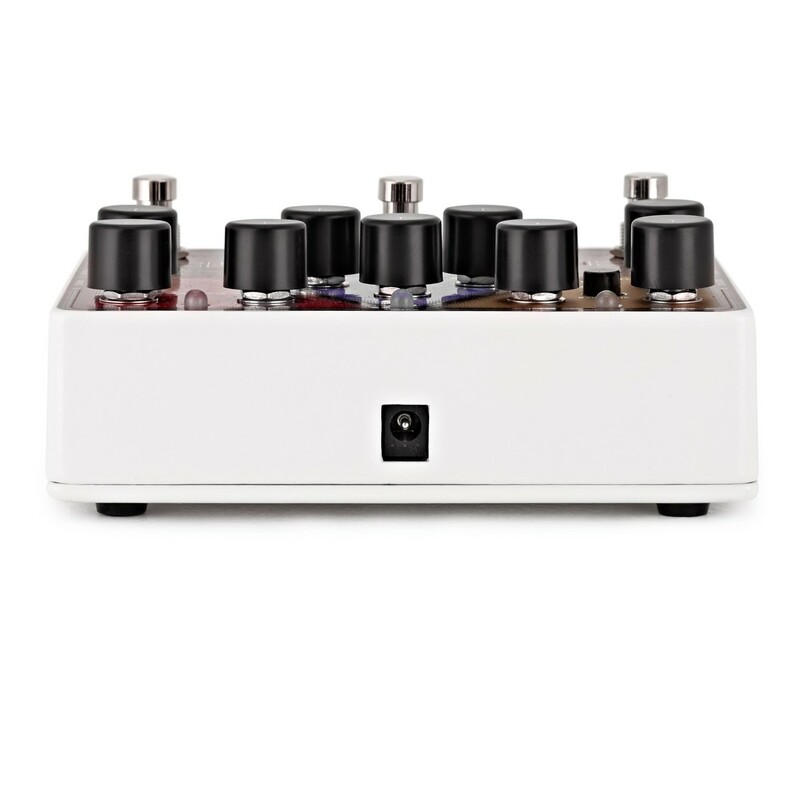 The Plus' multifunction control lets you control decay, damping and modulation speed. To read more about the Electro Harmonix Epitome Multi Effects you can download the instruction booklet using the button below.